We will be celebrating World Communion Sunday in worship this week! 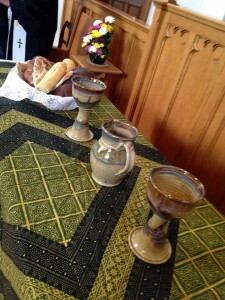 Do you know that it was a Presbyterian church that started the tradition of World Communion Sunday? Read more about the history of this tradition here. We will be collecting the special offering for Peace and Global Witness, so try not to forget that little orange envelope from last week (but don’t worry, we’ll have spares if you do forget!). We will also be collecting peanut butter and jelly for Isaiah 58 during worship. And (yes!) we will have our monthly fellowship meal following worship, which will be a true potluck, so bring something to share if you can- maybe even a world dish!